Review for The Two Towers (The Lord of the Rings, #2) here. Gandalf and Pippin finally arrived in Minas Tirith to deliver news of war to Denethor, the Lord of Gondor. Aragorn planned an almost impossible and dangerous mission, which is going through Paths of the Dead to find the lost army. With the help of Legolas, Gimli, and the Grey company, Aragorn sets off. 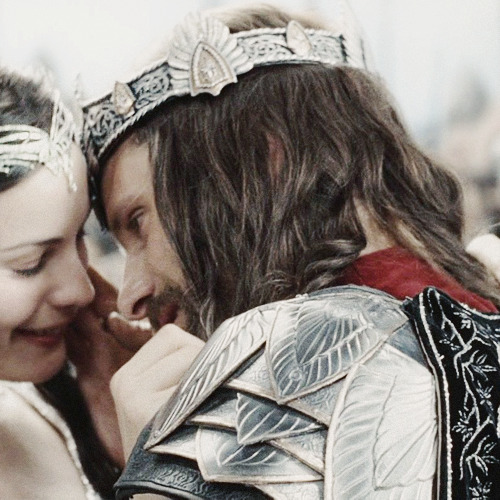 Merry was left behind and ride along with King Théoden. Armies of the Enemy mercilessly attack on Gondor, making the future looks dark. And so war has begun in Middle-Earth. "Well, no need to brood on what tomorrow may bring. For one thing, tomorrow will be certain to bring worse than today, for many days to come. And there is nothing more that I can do to help it. The board is set, and the pieces are moving." The battle in Minas Tirith wounded tons of people, including Faramir - Denethor's son, and Boromir's brother who's passed away. Even though Denethor always said hateful things towards Faramir, the fall of his son gives him a terrible shock and puts him in a state of insanity. Pippin who saw what Denethor's about to do urgently calls Gandalf for help, but unfortunately not much could be done. Minas Tirith, surrounded by orcs all around, received an aid at the perfect time from Rohirrim and King Théoden with a planned strategy. Even Éowyn, the niece of King Théoden, joined the war- disguising herself as Dernhelm because she wasn't allowed to go into battle. In the end, many were heavily injured, and deaths are unavoidable. Their last strategy is to attack Mordor to distract the Enemy's army and give a better chance for Sam and Frodo. Sam and Frodo are also fighting their own battle inside Mordor. After knowing that Frodo haven't died, Sam bear the Ring and goes to rescue his master. But the journey through Mordor isn't easy because they always come across orcs along the way. And it's not always easy for the Ring-bearer because the weight of the Ring becomes harder to bear much longer. Both Sam and Frodo are tired, hungry, and parched - with nothing much left on them. As they come much closer towards Mount Doom, where the Ring should be destroyed, Frodo's heart is starting to waver and he wanted the Ring for himself. But there's also Gollum, who wouldn't let it's Precious be taken away. "Still far away, forty miles at least, they saw Mount Doom, its feet founded in ashen ruin, its huge cone rising to a great height, where its reeking head was swathed in cloud. Its fires were now dimmed, and it stood in smouldering slumber, as threatening and dangerous as a sleeping beast." This book definitely took me a long time to finish - since I took it with me on a holiday trip, and I didn't have a lot of chance to read. 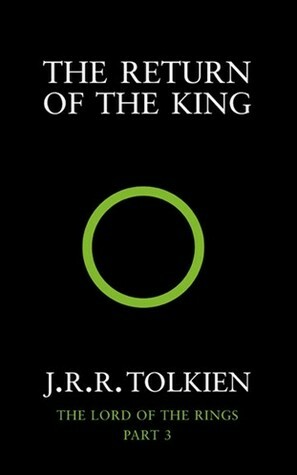 The Return of the King is a grand ending to The Lord of the Rings trilogy, and I am absolutely satisfied with it. The same thing happened when I read The Hobbit, The Fellowship of the Ring, and The Two Towers - the start of the book is always difficult for me because the flow of the story is pretty slow for me. The first part of the book is all about the battle; but there's plenty of details which makes me impatient because I'd like to quickly know what'll happen next. I got most excited when the story reached the second part, focusing on Sam and Frodo - because at this moment is where we'll see what happens with the Ring. Sam and Frodo's adventure is full of emotions and intensity (although the war is also heart-breaking), and it's such a page-turner for me. I never wrote a long plot summary for The Lord of the Rings book reviews, because I feel like all the goodness will be spoiled! So I guess I'll just write more about my opinion towards the book. As I've said earlier, the book is split into two parts. Book V, focusing more towards the war and battle; and Book VI is Sam-Frodo's part and also the ending of the trilogy. For the first part of the book, I feel like the story is putting the spotlight on Pippin and Merry (or is it just me? ); because they're just hobbits and they had important roles at war (and with the Kings). I'm looking forward to see the battle scene and the Witch King in the movie; because I'm pretty sure it would be much more intense visually x) And there's this one thing that's been on my mind. 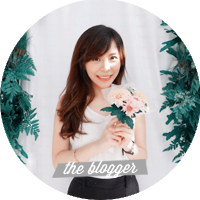 Gandalf said something which makes me think that he knew what's going to happen all along. But he's a wizard anyway, so I guess it's not much of a surprise. 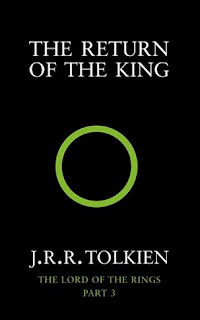 Book VI begins with Sam who goes to look for Frodo - who's held captive somewhere in Tower of Cirith Ungol. When they both met, Frodo is in a state where he's much more attached with the Ring than he used to. So there are times when he's mad at Sam for wanting to bear the Ring for him - which is a little bit annoying, but I can understand that Mr. Frodo. And so begins their laborious journey towards Mount Doom. In this part, I can definitely imagine inside my head how they're suffering so much in this journey. Even bitter water gives them pleasure. And I am absolutely surprised at how the Ring is destroyed.... I wouldn't talk more about their journey because it will just spoil everything. Let's skip to the next part. The book doesn't end just like that, we get to see the aftermath. 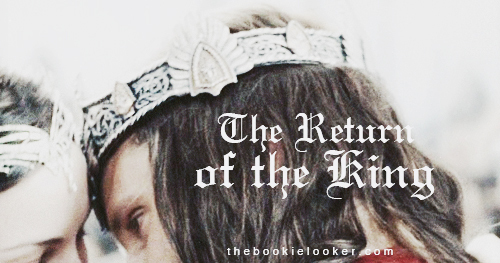 We get to see romance (who I will not say; because it was a surprise for me), and of course The Return of the King, Elessar. He is definitely worth to be a King because of his wisdom and courage. Besides that, the story also included the terrible change that happened in the Shire - the hobbits' homeland. There's even a war in it! (phew, I thought war was over back in Mordor). And Saruman also had an appearance. This wicked wizard is not defeated yet; so can I hope for the fourth book of Lord of the Rings? :( The end of this book is just absolutely amazing. Perfect. "He gave Frodo water and an additional wafer of the waybread, and he made a pillow of his cloak for his master's head. Frodo was too weary to debate the matter, and Sam did not tell him that he had drunk the last drop of their water and eaten Sam's share of the food as well as his own." On the other hand, I'm sad that there's not much Legolas in action. Although I'm sure Legolas would still show up in the movie adaptation. Which is why I'm so looking forward to watch the movie adaptation soon! But on the other hand, it's also sad to finally say goodbye to all the characters in this book. I'd like to say thank you to J.R.R. Tolkien for creating this wonderful world and stories, because not only it was fun to read, but there are a lot of things that I could learn from this journey. 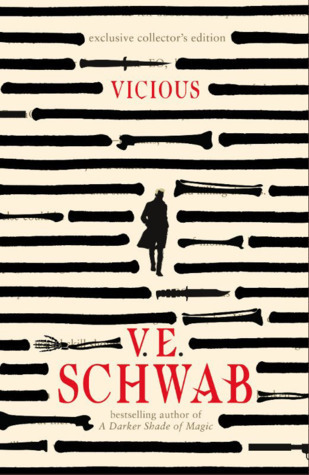 I finished reading the trilogy in almost a year (because of the long time interval), and I absolutely loved it. I will definitely missed Tolkien's writing, and when that time comes I'll just read this book's Appendix (which I haven't read yet x)). "But Sam was now sorrowful at heart, and it seemed to him that if the parting would be bitter, more grievous still would be the long road home alone." You can read The Silmarillion to know all of the history. Or, you can join at Eorlingas (you can find the group at Facebook or follow @Eorlingas_id to discuss about Tolkien world with another Ringers in Indonesia. We love to discuss every little things about this magical world.